Rokuro Okajima is meek, mundane, and metropolitan. His business trip to South East Asia turns from pleasure cruise to festival of pain when modern-day pirates board the ship and take him hostage. Revy, Dutch and Benny are merciless, maniacal, and mean. 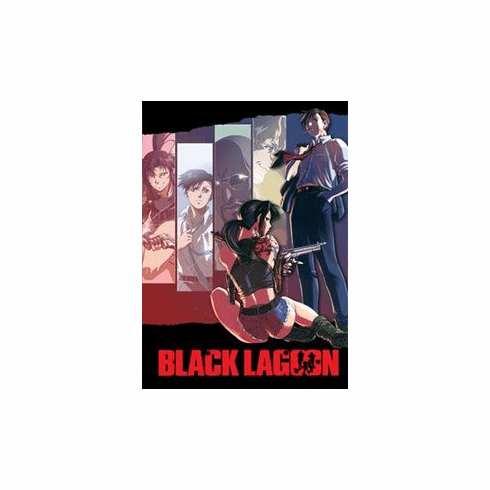 Together, they make up the crew of the Black Lagoon. Making a living in a city where the most villainous of villains make themselves at home isn't without its risks, but they take on any job available to them. Smuggling guns, drugs, kidnapped children, and stolen goods is all part of a hard days work.